Regulations that would allow local agencies to enforce safe operations of drone aircraft in San Diego are scheduled to be proposed next week. The legislation is the product of a working group formed in 2015 after a so-called “unmanned aerial vehicle” was spotted near a passenger jet around Lindbergh Field. According to city documents, their proposal mirrors Federal Aviation Administration rules but provides local agencies with the authority to perform enforcement activities. The group was made up of representatives of the police and fire departments and other municipal agencies, studied federal and state rules, plus local ordinances already adopted in Poway, Berkeley, Los Angeles, Chicago, Miami and Pittsburgh. Proposed amendments to San Diego’s municipal code are set to go before the City Council’s Public Safety and Livable Neighborhoods Committee on Wednesday. 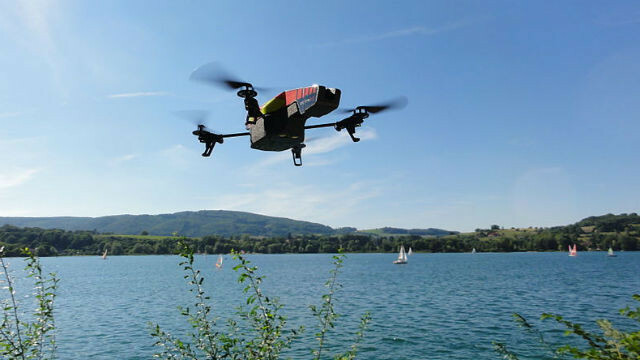 They would prohibit careless or reckless operations of drone aircraft, violations of FAA flight restrictions or operations that inhibit law enforcement officers, firefighters or other emergency rescue activities. Offenses would be prosecuted as misdemeanors. “Unmanned systems and drone technology have grown significantly in popularity and it is exciting to see this sector of the innovation economy grow, said Councilmember Chris Cate, who succeeded former colleague Marti Emerald as committee chair. “With this growth, it is important that the city has the tools necessary to ensure and encourage the safe operation of drones,” Cate said. In 2015, the FAA reported 15 encounters between drones and commercial, military or private aircraft in a six-month period in San Diego. The incidents generally occurred while the airplanes were taking off or landing. FAA regulations require drone hobbyists to provide a prior notification to the airport and air traffic control officials before flying within five miles of an airfield. Operators are also supposed to keep the unmanned aircraft within sight at all times, yield to manned airplanes and stay within an altitude of 400 feet above ground level. The FAA report on San Diego encounters said many of the incidents took place at altitudes of 2,000 feet or higher.